However, this is finally starting to change. Choudry and O’Kelly report some forestry pioneers are starting to achieve productivity increases and returns on investment similar to other industries, and the size of these gains is comparable to the shift from animal-powered to mechanised processes. However, inspired by advances in agriculture, some forestry operators have begun pioneering the use of advanced technologies to improve forest management results. Within the industry, this approach is widely called ‘precision forestry’. The potential for value creation from improved forest management is significant. Besides the ecological benefits of increased productivity there is substantial economic and social value at stake. Globally, about 300 million hectares of plantation forests supply nearly two billion cubic metres of industrial wood (for use such as construction, paper and packaging) and two billion cubic metres of fuelwood for household heating and cooking. The economic value of the industrial wood is in the order of USD$200 billion, while the fuelwood remains a critical source of energy for households in developing countries. 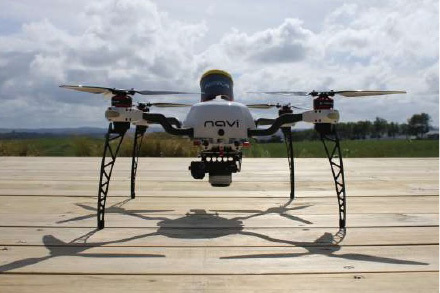 Precision forestry is enabled by a wide range of emerging technologies, such as drones or unmanned aerial vehicles (UAVs), laser scanning (lidar), and soil sensors. Optimised decision-making with advanced analytics. These are grouped in the categories of: genetics and nurseries; forest management (silviculture); harvesting; wood delivery; and ‘across the full value chain’. Discover – understand where you are and where you want to go, create a road map. Design – design and deliver first at small scale on limited projects and/or single site. Deliver – deliver at a larger scale with a broader project portfolio, potentially at all sites. De-risk – implement structure to reduce operational and financial risk over the long term. Start now, don’t wait for the technology to fully mature. For instance, use manual reading of UAV images while algorithms are being built. This helps narrow down the exact problems to solve and the requirements for doing so. Begin with your business needs. Many precision forestry technologies are used for data collection, which is only the starting point and should be followed by analytics, and only then decision-making. Combine technologies to address specific problems. The new technologies are most powerful when used in combination. For instance, for forest re-establishment, use UAVs to collect stocking data, analysis to identify low stocking hot spots, and decision-making to prioritise areas to replant. Make the best of use of existing data. This, if cleaned and integrated into one unified data set, may be enough in itself to run predictive analytics and drive improved decision-making. Consider the full set of enablers. Don’t look at just the new technologies – consider the IT backbone, business processes, capabilities, and organisational setup as well.